It was with great sadness that I read that Maker Faire UK will not be coming back next year. The venue Centre for Life in Newcastle has hosted the maker event since 2009 and was the very first venue to host a Maker Faire outside of the United States. I’ve been a regular visitor and exhibitor since 2010 and enjoyed every moment of my time at it. Fortunately, there are still plenty of other Mini Maker Faire’s in the UK and I’ll hopefully be visiting some of them next year instead. So a final thank you to Maker Faire UK, to the people who organised it, to the exhibitors who showed off many great projects and to the many visitors who came to see what it was all about. In 2009, Life Science Centre brought Maker Faire to the UK and has hosted the country’s flagship event ever since. Over that time, the popularity of making activities in the UK has sky-rocketed. Life is proud to have been pioneers in this growing Maker movement, but we feel the time is right to make a change and to bid a fond farewell to Maker Faire UK. Lovers of all things making needn’t fear, as we’re opening a new space in Life Science Centre dedicated to crafting, tinkering and creativity in the spring of 2019. Some 10,000 visitors and 300 stands, workshops and talks later Maker Faire UK 2016 is over for another year. As usually it was great to meet up again with Aaron of Oomlout, Mike of Grumpy Mike fame, Mitch Altman, Dominic and Martin from Just Add Sharks, David from abx-labs and Simon from ClarksArcade. As well as the old faces I also got to meet the guys from Leed’s Hackspace and also the guys from York Hackspace for the first time. I was on the Maker Space (Newcastle) stand again this year. Lots of cool members projects on display. 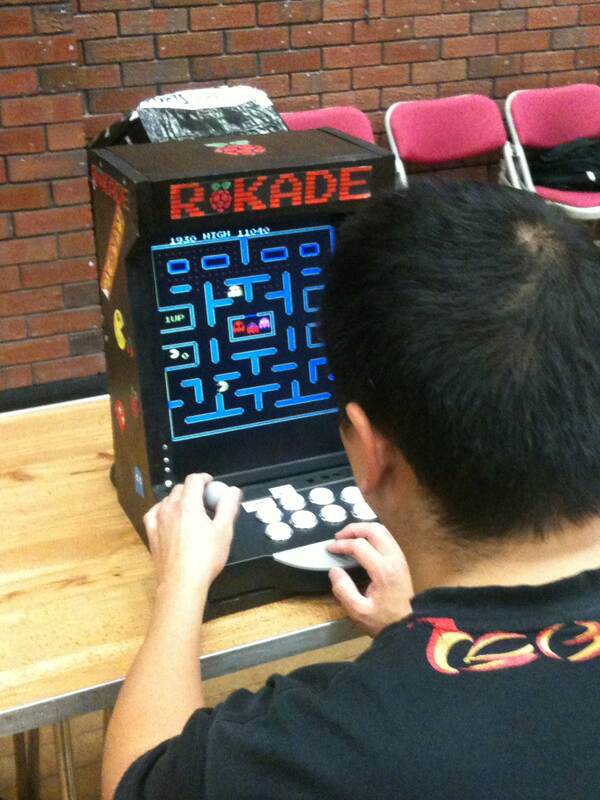 Myself I had my Raspberry Pi based R-Kade Mini arcade and the R-Kade Zero. Both were received very positive comments from the people playing on them. Takeoff-RC had their drones on display in the open air exhibitor space. A special mention must go to Iain, Chris, Alistair and Tommy from Maker Space for their truly awesome Penguin Run project. 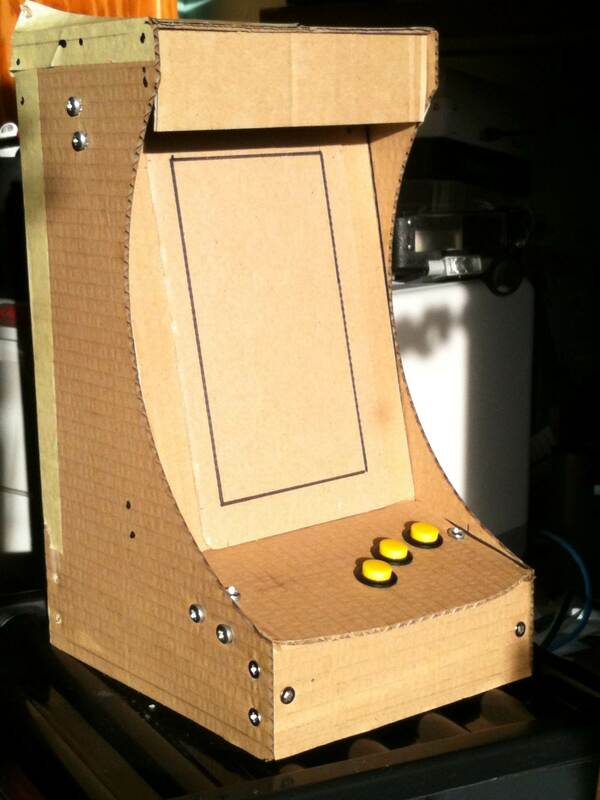 It deservedly won the Maker Merit prize from the Maker Faire UK organisers. Only 12-months to the next one. A little bit late, but we went to Edinburgh’s Mini Maker Faire earlier in the month (10th April). It’s been running now for 4-years and I glad to say we’ve been to all four. For the third year now, we were active participants and we had a Maker Space stand. 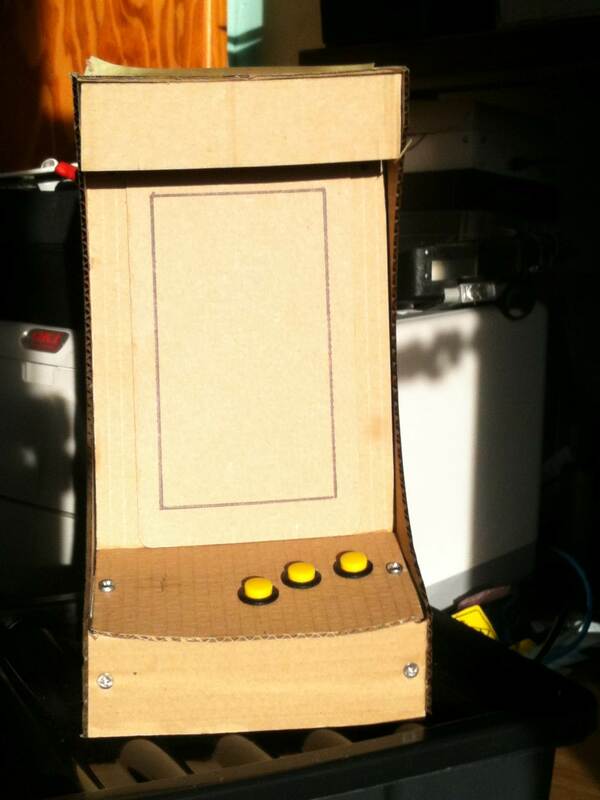 Glen took his Egg-Bot and drones, whilst I had brought various R-Kade Zero prototypes and R-Kade Mini, my 7″ LCD mini bar arcade. The faire was well attended both by exhibitors and visitors. With the drones, egg-bot and R-Kade’s being popular. We meet up with the guys and gals from MakLab and Edinburgh’s HackLab again. We also met the makers from the Dundee Maker Space for the first time and I also met Laura from Raspberry Pi Foundation for the first time. She’s also wrote a nice blog on the faire and you can read it here. I actually get a mention :-). Next one, is my local faire Maker Faire UK in Newcastle on 23/24 April. You are currently browsing the archives for the Maker Faire category.